OVERVIEW: This story puts across the important message that no one is perfect and that it is normal to make mistakes. 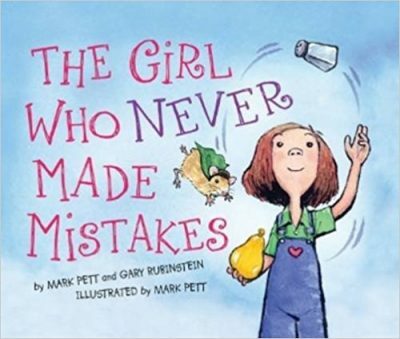 DESCRIPTION FROM THE PUBLISHER: Meet Beatrice Bottomwell: a nine-year-old girl who has never (not once!) made a mistake. She never forgets her math homework, she never wears mismatched socks, and she ALWAYS wins the yearly talent show at school. In fact, Beatrice holds the record of perfection in her hometown, where she is known as The Girl Who Never Makes Mistakes. Life for Beatrice is sailing along pretty smoothly until she does the unthinkable-she makes her first mistake. And in a very public way!